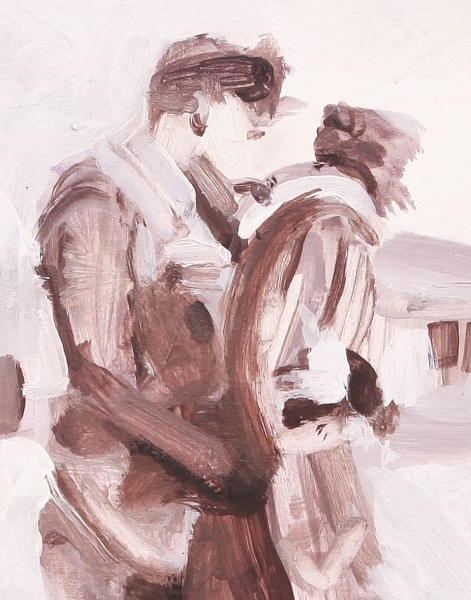 "Part of a series Mementos: The principal motif is two figures in an embrace. 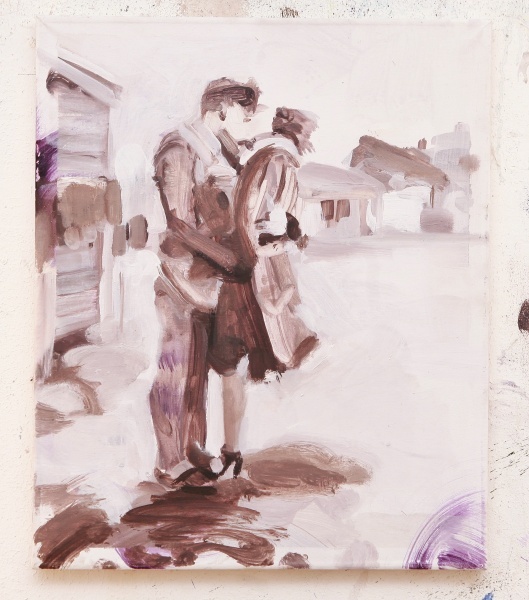 The paintings take as their starting point found vintage photographs of unknown couples. 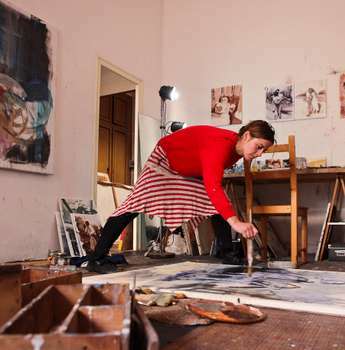 In a response to these images and the sensation that they suggest, the paintings are developed to distill and translate this feeling through an abstract language. 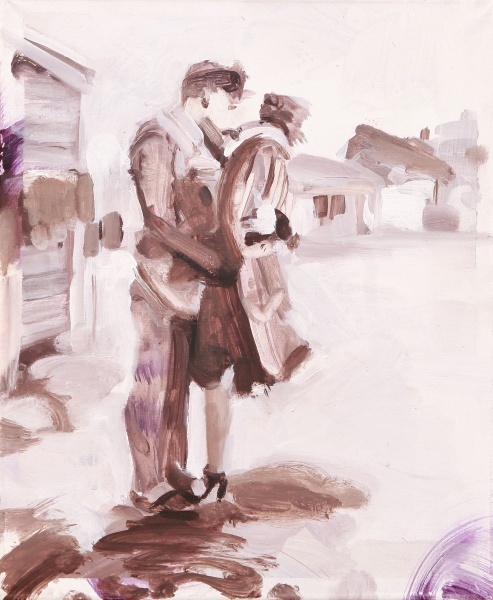 The erasing of representational and character details, an expressive colour palette and mark making, the development of the compositional forms to re-contextualise the figures and their moment, are techniques often employed to distill the sensation of the image whilst leaving the narrative open to interpretation."